Abstract. The differential diagnosis for hemangioma, focal nodular hyperplasia (FNH), and hepatocellular adenoma may be difficult. Reliable diagnosis is mandatory for the decision of whether to apply surgery or observation. Experience with long-term observation in nonoperated patients with hemangioma and FNH is limited. 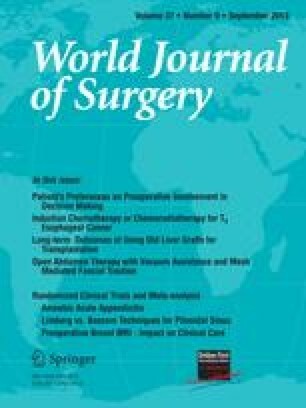 A group of 437 patients from a single institution were analyzed with regard to a diagnostic algorithm, the indications for surgery, and observation. There were 238 hemangiomas, 150 cases of FNH, 44 adenomas, and 5 mixed tumors. Of the 437 patients, 173 underwent surgery; 103 with hemangioma and 54 with FNH were observed at our own institution, whereas 117 patients underwent follow-up elsewhere or were lost. Among the operated patients with confirmed histology, a good diagnostic yield was found for a combination of ultrasonography (US), contrast (bolus)-enhanced computed tomography (CT), and labeled red blood cell (RBC) scanning: sensitivity 85.7%, specificity 100%, positive predictive value (PPV) 100%, negative predictive value (NPV) 81.8%, and accuracy 91.3%. For FNH the combination of US and CT plus cholescintigraphy showed a sensitivity 82.1%, specificity 97.1%, PPV 95.8%, NPV 84.6%, and accuracy 90.3%. Surgical mortality was 0.6%. Observation of patients with hemangioma and FNH for a median of 32 months revealed no increase in tumor size in 80% and a decrease in fewer than 7%. There was no tumor rupture and no evidence of malignant transformation. We concluded that liver hemangioma and FNH can be differentiated from adenoma with high sensitivity, specificity, and accuracy by labeled RBC scanning and cholescintigraphy in combination with US and contrast-enhanced CT. In the case of symptoms or an equivocal diagnosis with respect to adenoma or hepatocellular carcinoma, surgery can be performed with very low risk. Because in asymptomatic patients with observed hemangioma or FNH no increase of tumor size can be expected for many years, the indications for surgery must be carefully evaluated.